Arriving in 1915, Morinosuke Kamizono was one of the first Japanese immigrants to settle in New Zealand. He married Hine Wanoa of Ngāti Porou and moved to the East Cape town of Te Araroa. 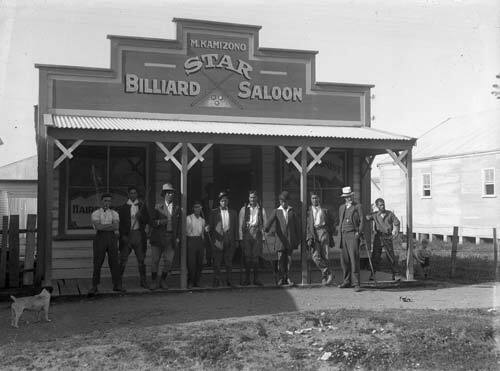 The couple owned the Star billiard saloon, pictured here, until 1938, and also ran a barber’s business.